COSO ERM 2017 is quite paradoxical. In a sense that, on one side, it is extremely long (257 pages), on the other side, it never goes into any level of sufficient detail to explain the ideas presented in any comprehensive way. If I was to summarize COSO ERM in one picture, it would probably be the picture abover the article. COSO ERM 2017 is painfully obvious with no innovation. 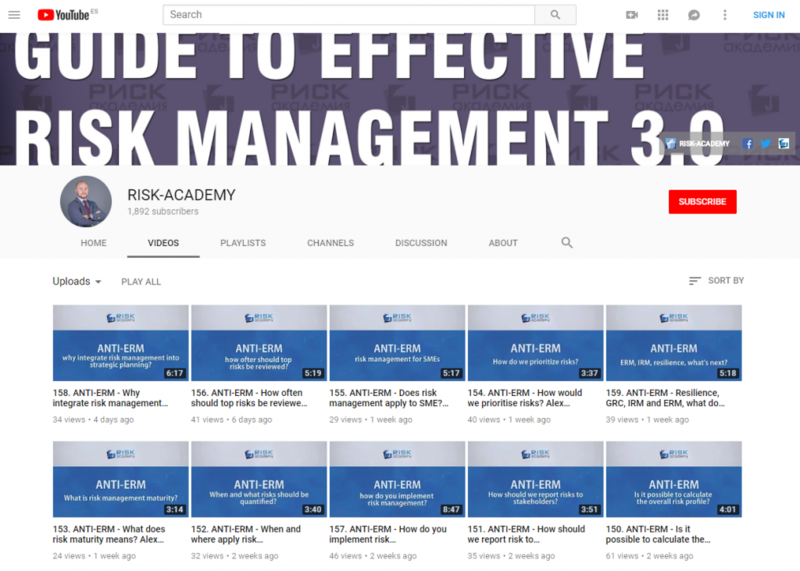 In fact, if you are working in risk management for a while, have sucessfully integrated risk analysis into some key decisions and processes, use proper quantitative risk analysis tools, familiar with the how cognitive biases affect decision making, then you will feel COSO ERM is a step back, not an improvement many claim. COSO ERM 2017 is a huge improvement on COSO ERM 2004 they say. True. However this is not a credit to COSO ERM 2017, it’s merely an indication of how horribly bad COSO ERM 2004 was. Yes, the new framework’s link between risk and performance is BETTER than just doing a list of risks. And if it was 2005 I would be super excited. But it’s not. In 2017 most risk managers I know use at least some form of risk modelling, decision trees, scenarios and simulations, they have linked risk management not only to strategy and performance management (as PwC suggests in COSO), but to many other business activities and most significant decisions as well. These tools and approaches have been around since 1970s and still outperform all the new “best practices” by a landslide. PwC is quite clever, the framework does mention both cognitive biases and the simulations techniques, acknowledging their exist and are important. I am not buying it however, this was clearly done as cop out more than anything else. Plus COSO ERM 2017 still loses to ISO31000:2018. It has same or similar messages but in a package that is painful to read. In the detailed comments you will find a lot of captain obvious type quotes from the framework. shut the auditors or consultants that were selling risk registers, risk management framework documents and risk appetite statements. First thing you notice when reading COSO ERM 2017 is that it is less about risk management, more about corporate governance and management in general. As such, it should be benchmarked not only to ISO31000 but also to King IV report on corporate governance and any other governance code relevant to your country. Yet again, paradoxically, while risk if not the focal point of the document overall, whenever it is the focal point (principles 7, 11, 12, etc) the authors seem to teleport back to 2005 when writing about risk management. Previous: Previous post: La nueva ISO 31000 ¿Estás preparado?